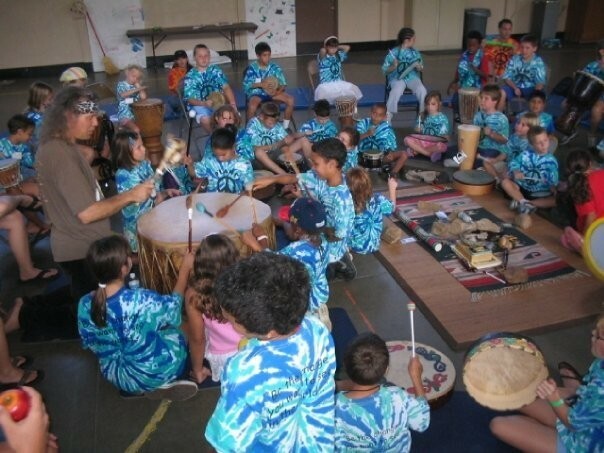 Experience Dynamic unique Interactive Cultural Music Fundamentals, Rhythm Games, Instrument Building, and Performance playshops for school classrooms and assemblies emphasizing positive group learning dynamics, creative expression, and fun. CHECK OUT ROCK THE CLASSROOM ON YOU TUBE!! 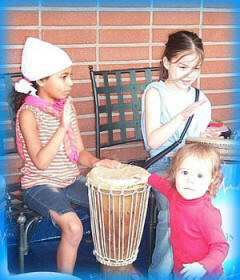 Young people love to express themselves with rhythm instruments and songs. Our programs promote self-esteem, mutual respect, and team spirit. 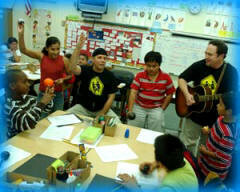 We encourage and facilitate an interactive, supportive atmosphere, and promote sharing and FUN!! Hand percussion instruments are provided for all participants. Programs can be during or after school. Performance rates and times vary, see details below. ** Special programs created for teachers too!! 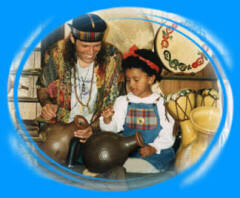 Rhythm Jam Teacher Training Program.